Here’s your cheat sheet for Grisette by Windswept Brewing Co. Featured in main subscriber box on 2 August 2018. Find Windswept Brewing Co on Twitter at @WindsweptBeers and on Instagram at @windsweptbrewing. Serve this beer between 9°C and 10°C; stick it in the fridge for maybe a touch over an hour. A grisette is a historical style that has been resurrected – despite no one seemingly knowing quite what the beers would have been like back in the day – and is starting to become more popular with brewers. Burning Sky do a good one, as do West By Three Brewery. The general profile that people have settled on is a very light, very pale, slightly hoppy ale. Flavours are generally subtle, allowing for a clean taste with a slightly floral hop finish. Grisettes are usually very light beers, and so are easily overpowered by all but the lightest foods. Maybe enjoy this one on its own tonight. Or stick to salad, perhaps with some slivers of oranges in there mixed in with… I don’t know… some bits of walnut maybe and a bit of feta? Add some fennel perhaps. Yeah. That could be nice. 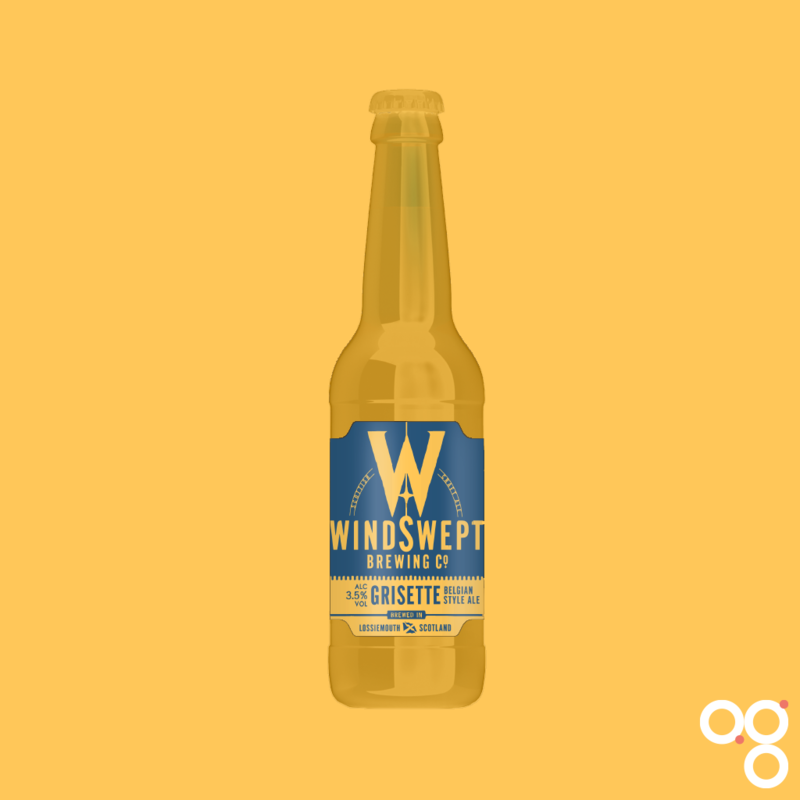 Read more on this beer from BeerBods and Windswept Brewing Co.